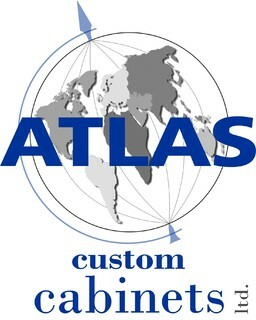 At Atlas Custom Cabinets, we take pride in designing, manufacturing and installing every cabinet we produce, while providing an excellent experience for our customers. We build dream kitchens. Carefully balancing aesthetic and functionality, we're sure we can design the kitchen of your dreams! Our blue prints for your kitchen, bathroom, entertainment centre, or other living spaces not only allow for the utmost customization of your cupboards and drawers, but also your countertops, doors, mouldings, hardware, and accessories. The only thing we pride ourselves on more than the diversity that we offer in design is the level of craftsmanship that we dedicate to each and every project we do. Our many years of cabinetry experience allow us to create the highest standard product for you, on time, while maximizing your budget. Wherever your imagination takes you, we can help create your dream living space. No matter what your circumstances are, our design team will work with you to create something beautiful and functional. We pride ourselves on our excellent customer service and quality craftsmanship. That means you’ll never get a cabinet that “almost fits” or a color which is “almost perfect’. We use the highest quality materials available, including solid wood doors and all wood box construction for increased durability. Our cabinets are designed to last. Leave us a message with your questions and we will get back to you ASAP.